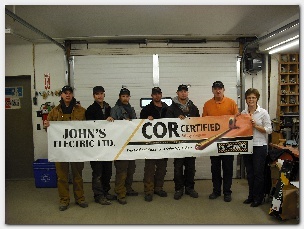 John's Electric Contact Us Contact John's Electric Ltd. Directions: We can be found by taking Highway 5 North to Commerce (near the railway crossing), go east down Commerce Street to Rosedale Avenue which is the 2nd left. We are located 1/2 a block north on Rosedale. You can go north on Mountain Avenue down Main Street to the Yellowhead Center where you turn left onto Commerce, drive 2 blocks to make a right on Rosedale Avenue, and we will be on the left side of Rosedale.